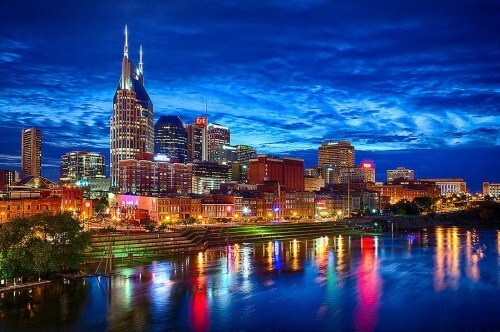 United Airlines has dropped the price of their April and early May flights from Calgary to Nashville, Tennessee down to $280 CAD roundtrip including taxes. WestJet starts their new non-stop flights from Calgary to Nashville in May, and they are currently priced at $386 CAD roundtrip. But if you want or need a flight to Nashville before May, this is definitely an unusually low price. NOTE: When you get to Skyscanner, click on 'Max Stops' and select 1 Stop flights. 3. Click through from Skyscanner to the booking site showing the cheap price. calgary, yyc, united states, flight deals, united airlines, north america, nashville, tennessee and bna.